They say simplicity is a virtue. 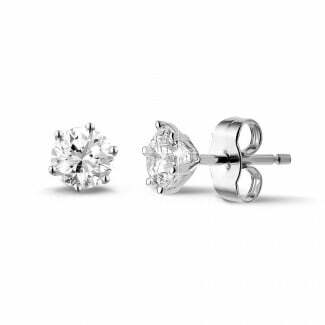 If you like minimalistic jewellery, then diamond stud earrings are definitely for you. They are more practical to wear compared to pendants and you can combine them with an elegant evening dress as well as jeans. 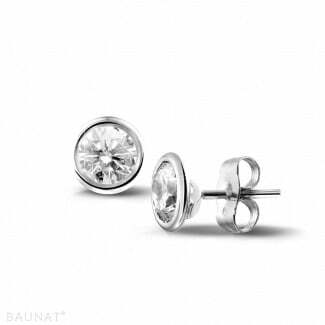 BAUNAT boasts an extensive collection of stud earrings in various different precious metals, including yellow gold, white gold, red gold and platinum. 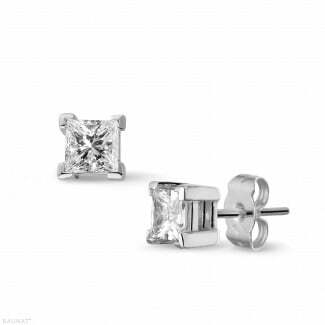 Can someone provide me with advice when choosing my stud earrings? Are you not completely sure as to which earrings go best with your skin colour or facial shape? Or would you like some more information about the possible diamond cuts? Contact one of our experts or make an appointment and come and see us in one of our specialised showrooms. All our jewellery is designed by top designers and made by hand. We personally ensure only the absolute top quality precious metals and diamonds are used. If you’re not instantly able to find the jewellery you had in mind, you can also arrange to have it tailor-made. We can professionally guide you throughout the entire project, from the initial design right through to the finished jewellery. 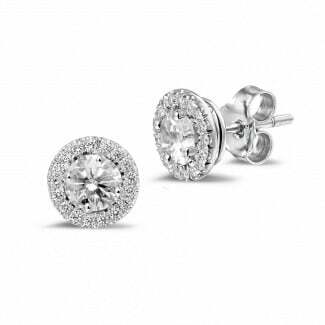 Can I buy my stud earrings online? You can see BAUNAT’s complete collection online. You can quickly and simply place your order online once you have made your choice. We can also offer you our 20 year product guarantee with online orders and you are also entitled to a 30 day return period. Not happy with your purchase? Then you can easily exchange it.